In Love with "Mary Jane"
Ah...the classic Mary Jane! It is school girl chic meets boardroom sophisticate. 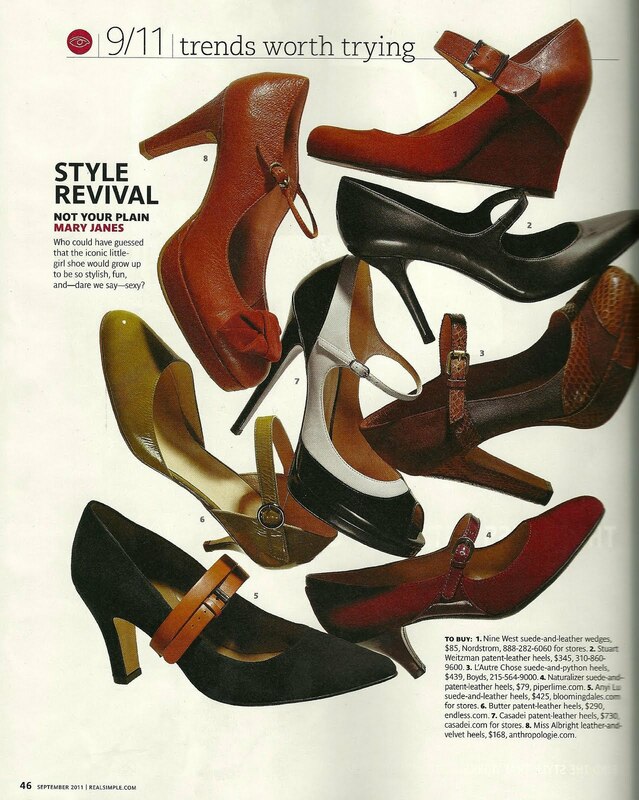 An article in this month's Real Simple magazine reignited my love of Mary Janes, to the point that I, too, am searching for a perfect pair to wear with pencil skirts, classic shift dresses, and even wide leg trousers. While I would LOVE a pair of Manolo Blahnik's (Pricetag: $565-$645 at Bergdorf Goodman and Neiman Marcus), I don't think my budget can justify that. However..I can def showcase some Mary Janes that are in ALL price ranges, from the luxe to the less expensive that will have you salivating and wanting to put on a little plaid skirt :) I love Mary Janes. I remember my first pair back in high school when Alicia Silverstone rocked them w/ the chunky heels in Clueless..
.and fell back in love with them as an adult when I saw them revamped in so many ways, shapes and colors. OMG!! Aren't these Mary Janes the BOMB??? Dress them up..Dress them down..Mary Janes are the most versatile shoe ever! So what do you think of the modern Mary Janes? I love Mary Janes too! Those Isola "Della" shoes are cute - i like the two-toned color and the heel makes them practical for me to wear at work! That Michael Kors and Diane Von Furstenburg pair have me salivating. I LOVE Mary Janes! That was my thing back in high school and I'm glad to see it making a return. I have a pair of white Mary Janes that I rock with my white suit for sorority functions. Business up top, party on the feet! Shoe Dupes: A Little "Something Blue"